Karma Tequila Silver is produced from 100% Agave, grown in the Highlands of Jalisco, the region recognized for having the richest soil and ideal climate conditions. Each Agave is hand picked from pre-selected Agave fields. 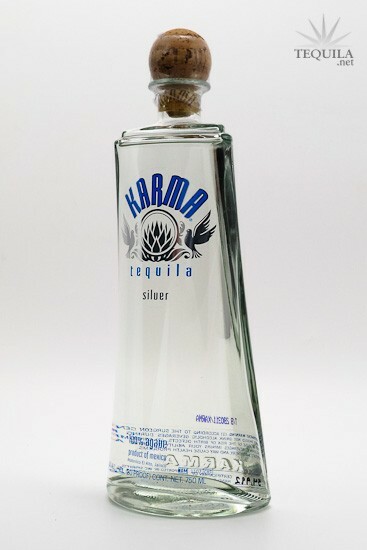 The Agave is tested for sugar content ensuring only the mature and sweetest Agave is used to produce Karma Silver Tequila. Special brick ovens slowly cook the Agave allowing all flavors to be captured in every sip. The Agave juice is fermented using only the finest natural ingredients. Karma's distillery is family owned and operated, utilizing traditional distilling methods that have been passed down from generation to generation for over 70 years. Through a multiple distillation process, Karma is handmade in small batches ensuring optimum quality, and a complete balance in taste and smoothness. 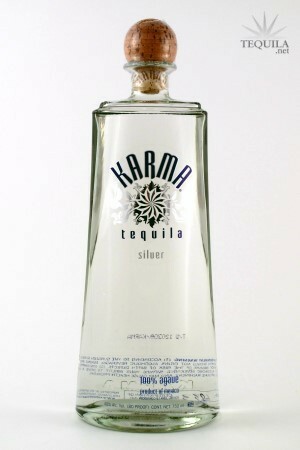 The Karma bottle was designed on the simple premise that design and functionality should coexist. Each bottle is filled, labeled, and individually numbered by hand for your appreciation. I was excited to try this as I had heard good things about it. The nose on it was overinfluenced by alcohol and acetone, so much so that I couldn't really detect much else that was trying so desperately to come through. I even let the bottle open up for a few days to make sure I was giving it a fair shake. There is a slight presence of cooked agave, but slight is it. The taste is not as strong in the chemical aspect compared to the nose, but it is still there. There is a sweetness to it, but the chemical aspects are ever present. The body is actually nice and has a medium weight with a bit of oiliness, which I happen to like. The body is probably one of the better aspects of this tequila. The finish is lacking, except that there is not much burn. Very quick heat, so pretty smooth in that regard, but the aftertaste still has a chemical taste with some bitterness. Luckily the finish is short, though. The price and presentation somewhat save the overall score on this tequila. If you can get this silver in the mid-20's, it's not a bad value for mixing. I really like the bottle and corks - nothing fancy, but still artistic. This will not be a repeat purchase for me as it is not suited for sipping IMO, but again would make a good mixer. Aroma: Agave, citrus, earth and alcohol. Initial Taste: Agave and citrus with a slight burn. Body: Pepper notes are added along with the nice agave flavor and something like a lemon zest flavor makes it interesting. Finish: It's more heated than most and certainly more so than most rested tequila lovers might enjoy, but it goes along OK with the peppery finish to give a nice sizzle. Not for everyone, but I didn't mind. The bottle is striking and would look good on a bar. The contents are good, but not quite great. Perhaps it's too much alcohol smell/taste throughout. Certainly good enough to sip, but mellowed in a margarita might make this a top notch mixer because of the spicy and citrus notes. Purchased for $25 at Zee Tequila, it's definitely worth that price. Excellent Silver, great taste, no burn, definitely a Silver to keep at your home bar. 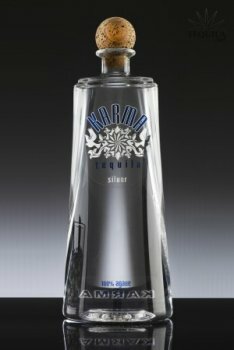 I found this tequila to be one of the best sipping silvers. So smooth but yet rich with flavor and such a great finish. In the Reidel glass Karma is clear and polished - very full-bodied with a silvery cast. Nose is promising - sweet agave, green herbs and mild alcohol. First sip is sweet agave with a noticeable alcohol overbalance. The herbal back-note from the aroma passes pleasantly into the body, but Karma fails to present any greater complexity. Finishes with a medium to strong alcohol flush and minty aftertaste. 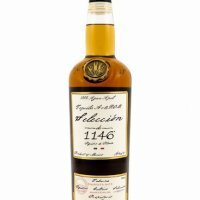 It is not particularly representative of Atotonilco - I find its characteristics are more typical of the lowland tequilas. Overall, and for the price, Karma is a respectable blanco. Packaging is unique and imaginative. As a sipper, it is simple and clean, although a little hot. As a mixer, it would be very, very good.